American Telemedicine Association CEO Jon Linkous is stepping down after leading the organization for 24 years. ATA Chief Operating Officer Dr. Sabrina Smith will fill in as interim CEO while the association looks for a permanent replacement. Linkous cited personal reasons that led to his departure, an ATA spokeswoman said. 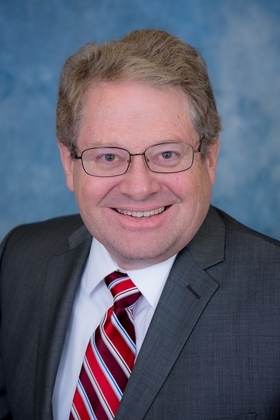 Linkous was instrumental in growing the organization to more than 10,000 members and 450 health system and industry partners as well as expanding its international conference and educational telemedicine program, said Dr. Peter Yellowlees, ATA board president. "Jon was integral in the formation of the ATA and the telehealth industry," Yellowlees said in a statement. "We thank Jon for his many years of service and his significant contributions to ATA and the industry he helped create." Treating patients virtually through telemedicine has been gaining steam as providers look to increase access to care, keep costs down, reduce physician workloads, bolster patient engagement and build population health programs. Telemedicine has been touted as a path to deliver better care at lower costs, but its adoption has been relatively slow as providers build out new infrastructure. As for the American Telemedicine Association, the organization's leaders were confident that the leadership change wouldn't slow it down amidst a time of "rapid expansion of telemedicine services worldwide." Smith joined ATA as COO in January, following more than 20 years of experience in healthcare, academic and not-for-profit management roles. She holds a doctorate and master's degree in health administration from the Medical University of South Carolina and a bachelor's degree in economics from the University of Colorado.